What’s better than a spoonful of Nutella? 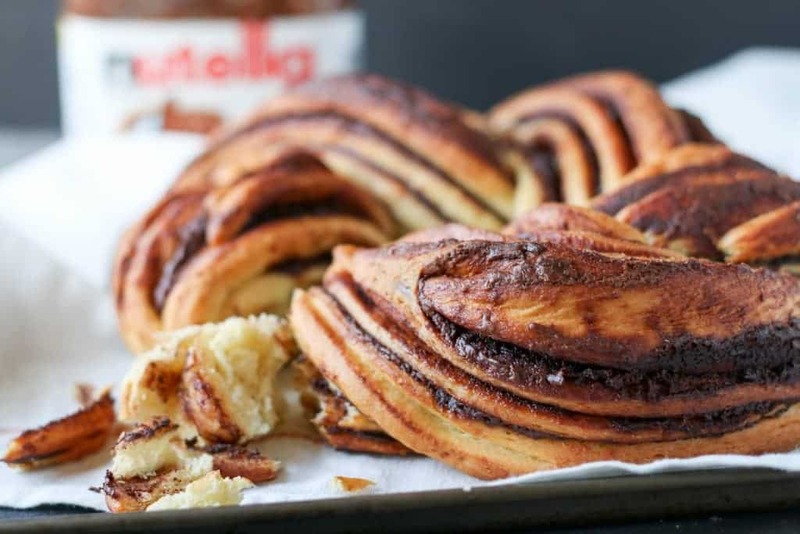 How about a spoonful of Nutella swirled into a loaf of homemade bread. 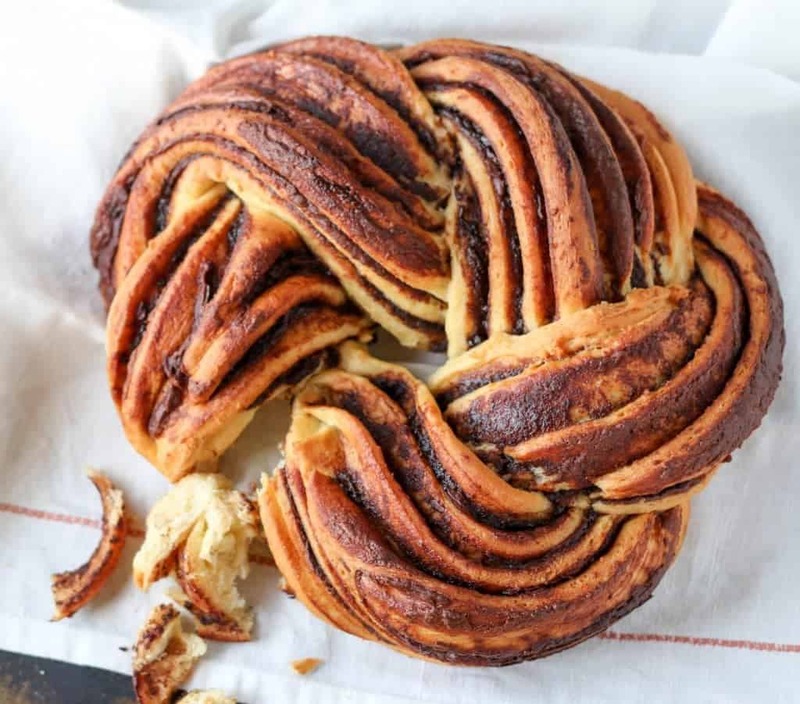 This braided Nutella bread will be the talk of your table. You know, as people start ripping off chunks and licking their fingers. My childhood was completely Nutella free. I know it’s sad. Please don’t shed tears for me. I’ve moved on. I was a straight up farm kid raised on good old peanut butter. Nutella wasn’t something that would make it’s way into our kitchen. Unfortunately. Now I try to sneak it into everything. 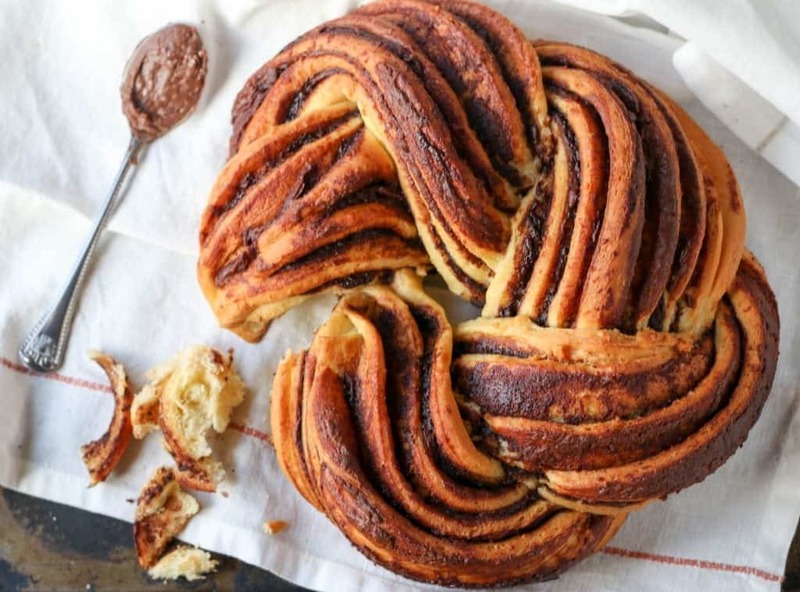 Like this beautiful braided Nutella bread. 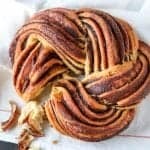 This braided Nutella bread is a basic sweet dough similar to making cinnamon rolls. 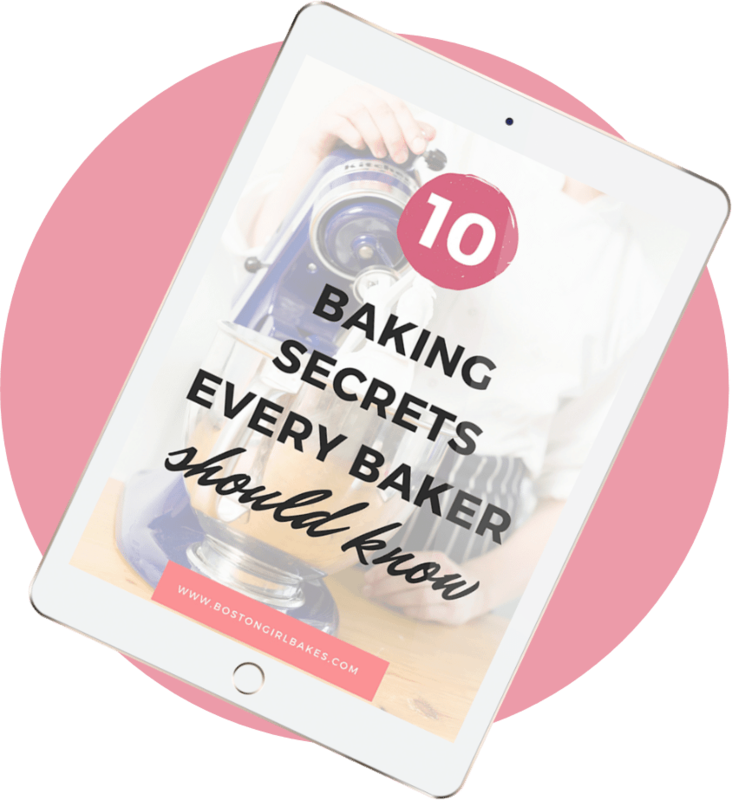 If you’re new to making homemade yeast dough then be sure to check out my Ultimate Guide To Making Homemade Bread Recipes. It’ll walk you through everything you need to know on how to make the best homemade bread. First you want to starty by proofing your yeast. My recommendation for making bread is to use Red Star Yeast. This yeast has dough enhancers in it that will help you make a beautiful easy to work with dough. 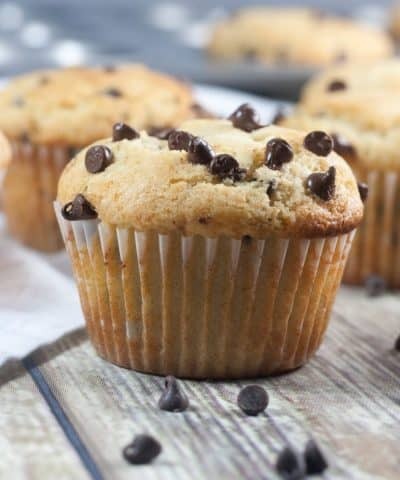 Once the yeast has proofed, you want to add the rest of your ingredients (except the Nutella) in your stand mixer. Then mix until a soft dough forms. You will place the dough into a greased bowl and allow to double in size (about an hour). 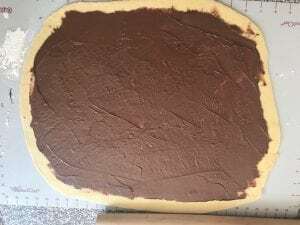 After it’s doubled in size you will roll the dough into a large rectangle (16×14 inch) and spread with Nutella. I used my pastry mat to roll my dough onto. It’s not necessary to make this bread, but I absolutely love my mat. It makes a perfect surface to roll dough out onto. And has measurements on the side so I never have to guess if I have rolled out my dough to the correct size. Then roll the bread up jelly roll style. Taking a sharp knife you will cut down the bread lengthwise and twist the two pieces of dough around each other. Then shape into a circle and place into a greased cake pan to double in size. Once it’s double you can bake the bread at 350°F for 45 minutes to an hour, until the internal temperature reaches 19°F. You want to use a thermometer to test the temperature of your milk before adding your yeast. Yeast is a living thing, which means if the milk is too hot, it will kill the yeast. If the milk is too cold the yeast will not proof properly. Measure your flour accurately. 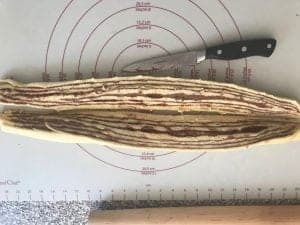 Either measure using this method described in this post, or use a kitchen scale for best accuracy. You can use your stand mixer with a dough hook attachment to make kneading this bread easy or make your bread dough in a mixing bowl with a dough whisk, and knead your bread dough by hand. After rolling up your dough, be sure to press the edges to seal and place the roll seam side down before cutting into 2 pieces. Can I Make This Bread Ahead Of Time? Yes you absolutely can. In step 3, you will place the dough into a greased bowl. At this point, you can go ahead and cover the bowl with plastic wrap and keep refrigerated for up to 3 days. 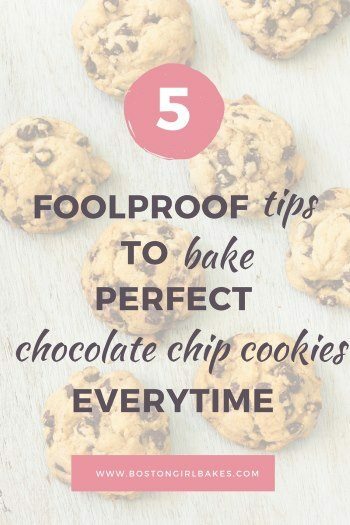 When ready to use, you can then allow the dough to double in size and shape as normal. 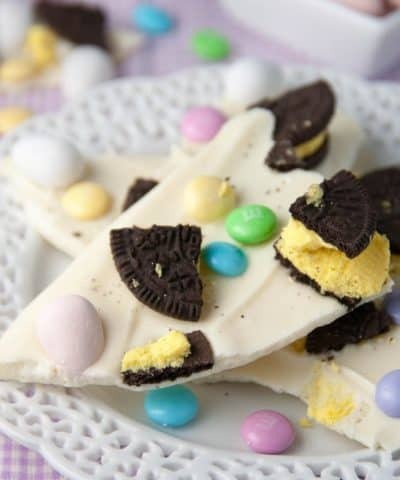 You can also prepare it up to the point of it being shaped and on your cookie sheet. Cover loosely with plastic wrap and refrigerate for up to 24 hours, then allow it to warm and rise covered until doubled in size about 60 minutes before baking. 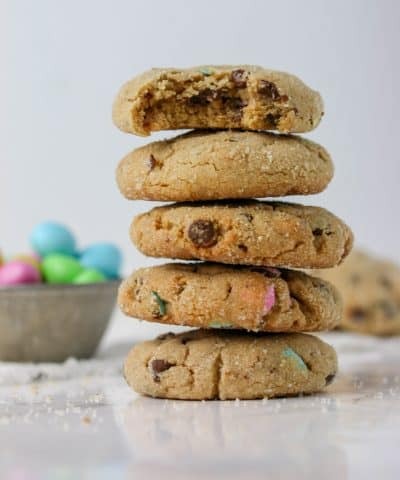 I found this recipe in my latest issue from Bake From Scratch. 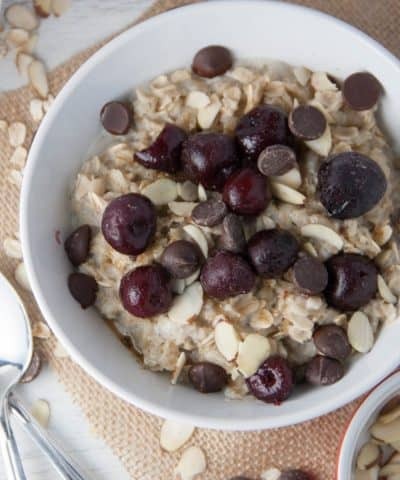 The original recipe called for adding the nice crunch of hazelnuts. Now you can go ahead and add those if you want. 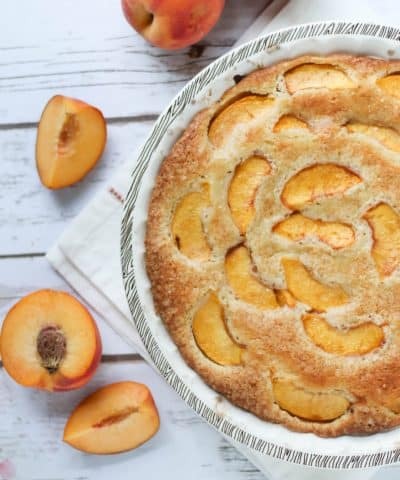 This bread is the perfect Mother’s day brunch treat. 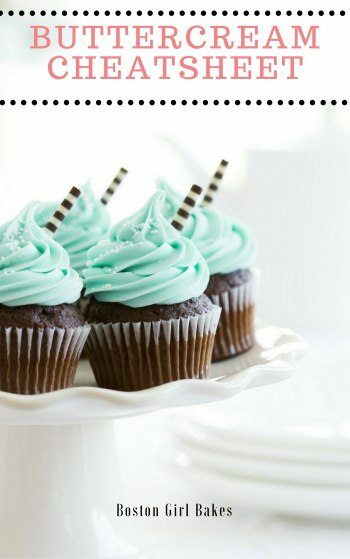 Or Tuesday treat. I’m not judging. 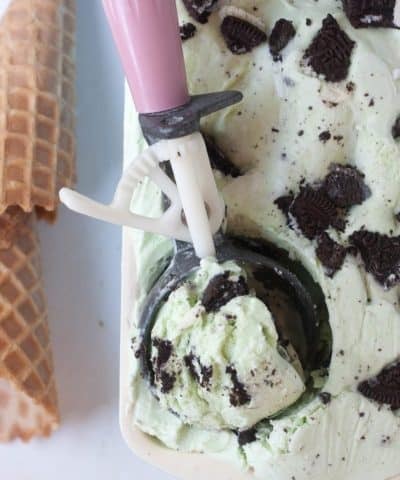 You make it and eat it whenever you want. In a closet, hoarding it all for yourself. Like I said, no judgement. A beautiful pull apart braided Nutella bread that will become the centerpiece of your brunch! 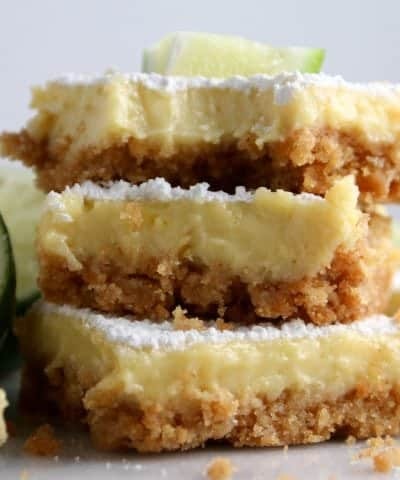 In the bowl of a stand mixer fitted with the paddle attachment, combine warm milk, sugar, and yeast. Let stand until mixture is foamy, about 10 minutes. Spray a large bowl with cooking spray. Place dough in bowl, turning to grease top. Loosely cover and let rise in a warm, draft-free place (75°F) until doubled in size, about 1 hour. Spray a 10-inch round cake pan with cooking spray. On a lightly floured surface, turn out dough. Punch dough down, and gently shape into a ball. Cover and let rest for 10 minutes. 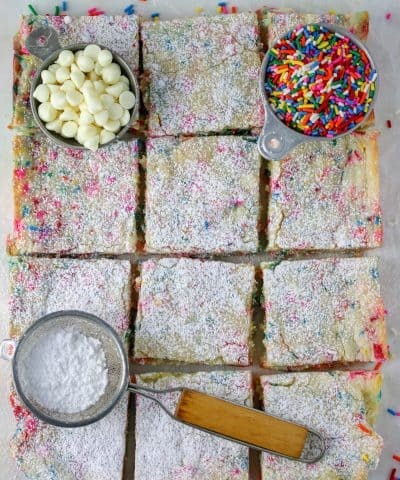 Roll dough into a 16x14-inch rectangle. 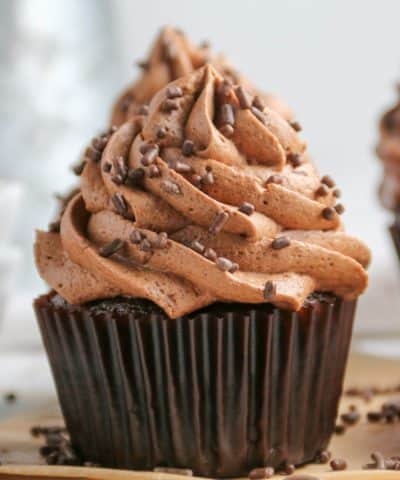 Spread chocolate-hazelnut spread onto dough, leaving a ½-inch border on all sides. Starting with one long side, roll up dough jelly-roll style, and press edge to seal. 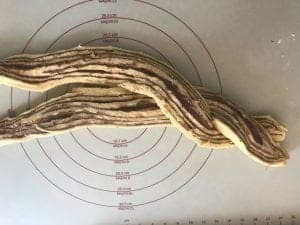 Place dough, seam side down, on a cutting board, and cut in half lengthwise. 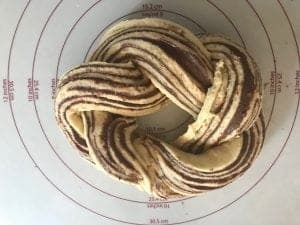 Carefully twist dough pieces around each other. Form into a circle. Place in prepared pan, cut sides up. Cover and let rise in a warm, draft-free place (75°F) until doubled in size, about 45 minutes. 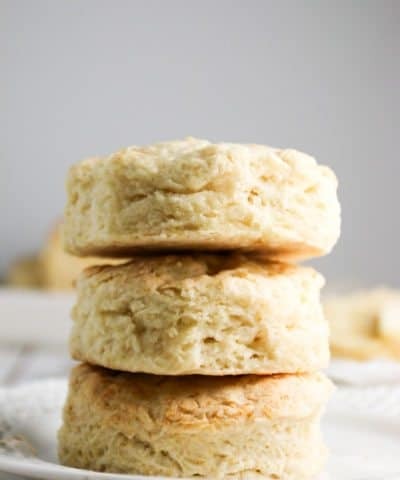 Bake until golden brown and a thermometer inserted in center registers 190°F, 45 minutes to 1 hour, covering with foil halfway through baking time to prevent excess browning, if necessary. Let cool in pan for 20 minutes before inverting onto a serving plate.